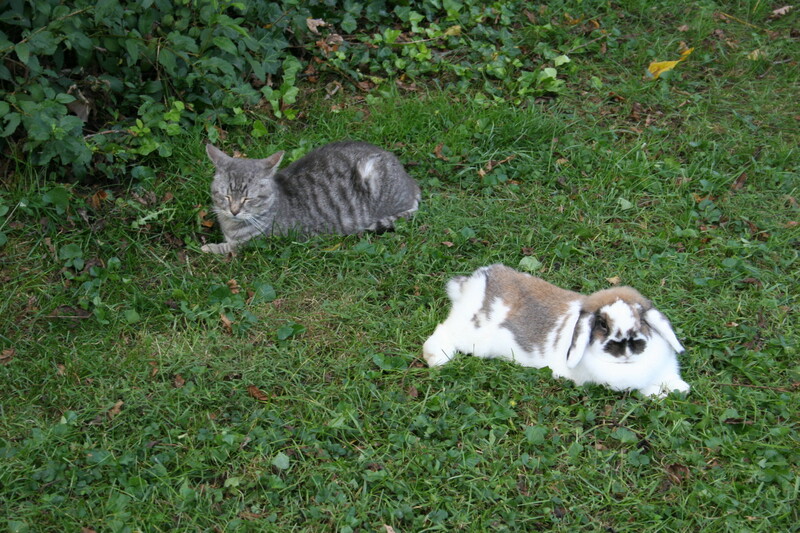 I continue to mourn our two rabbits, which went to a new home on Sunday. We can’t take either of them with us to California. 🙁 I’ve been thinking about Daisy and her romps around the backyard; how happy she would be. For some reason, I find Neil Young’s “Long May You Run” coming to mind when I think of the bunny. My basement office is a desolate place now, and the backyard is a field of dread. Something about the rabbits—and their simple tranquility—represents a lifestyle lived in this house. Their departure has taken away part of our home. I loathe coming down into the basement to work now. I count the remaining days to our departure. We can’t leave this place soon enough. Only Leo holds meaning. The grungy old cat came with the house. He was a young neighborhood cat when we moved here in January 1998. His owners abandoned him. His collar, later lost, read: “Dap”. My daughter changed his name to Leo, after he adopted us. For nearly 10 years, Leo has loyally guarded the house. He has lived outside, but come here for food and affection. Since Sunday night, he hangs out less by the basement sliding doors. Surely, Leo knows the bunnies are gone. Soon, we will place him in a new home, too. Today’s New York Times story, “The Ambivalent Bond With a Ball of Fur,” rightly captures my sentiments about our missing bunnies.